A player’s job in the NFL is unlike most professions in many ways. Voting for captains (superiors) is one of those unique traits. 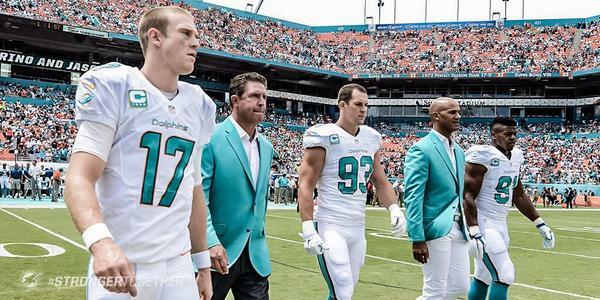 Today, the Dolphins elected five captains for the 2016 season. Ryan Tannehill is named a team captain for the fourth consecutive year. grey, dull personality were an obvious choice. Mike Pouncey – This one is a bit of a surprise. Then again, hosting offensive line meetings at strip clubs probably goes a long way with rich 20 something year old men. Reshad Jones – The best safety in the league and best player on the team, he leads with his play more than anything. Cameron Wake – The leader of this Dolphins team for the better part of the last decade, Wake sets his example on the field, in the weight room, in the kitchen, hell, everywhere.